A Village Remembered is a noble attempt on the part of the Compatriotic Union of Habousi (Kharpert) to preserve the history and memory of a village in Anatolia. 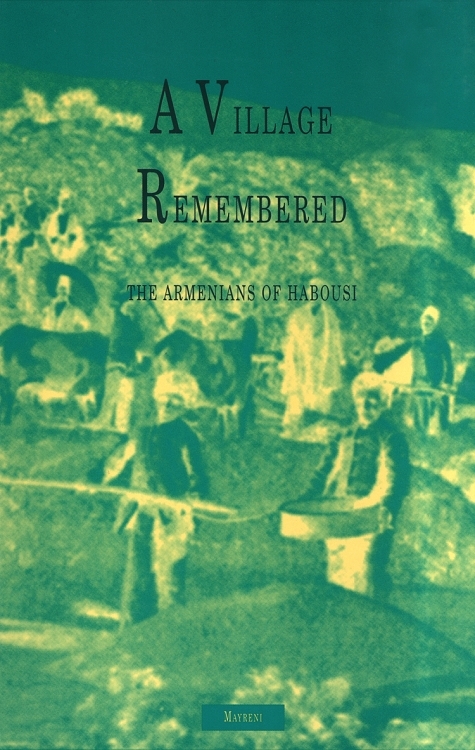 Rid of its Armenian population in 1915 and later submerged after the construction of the Kevan Dam, Habousi no longer exists physically, but remains alive in the hearts of Armenians who trace their family histories to the village. Originally published in Armenian in 1963, the book has been translated into English to awaken in new generations of Armenians a curiosity for their heritage and provide detailed information about life in an Armenian village before 1915. The book begins with a historical overview of the Armenian presence in Anatolia, but the majority of the book is devoted to a chronicle of the daily life and customs of Habousi. Chapters include "Folk Idioms," "Family and Holidays," "Baptism," "Songs, Puzzles, Games and Curses," "Household Economy," among many others.